Open source VR headset, an alternative to the costly Oculus Rift? 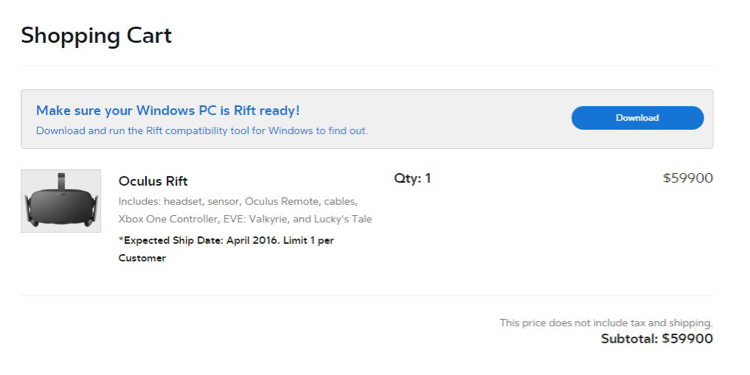 Oculus tripped up when it announced the price of its virtual reality headset at $599 (700€ in Europe). Time to take a look at the OSVR open source head-mounted display, developed by a conglomerate of manufacturers, less expensive and more scalable. The social media frenzy provoked by the announced public price of the Oculus Rift is a bad omen for the pioneer of VR head-mounted displays (HMD). After the success of his Kickstarter campaign in 2012, the nice young prototyper Palmer Luckey had already lost his “Think Different” aura by the time Oculus was acquired by Facebook in 2014. VR in the hands of GAFA? Oculus’s 350€ development kits (DK1 and DK2) were quite attractive, so when they launched their mainstream CV1 headset for $599 at CES in Las Vegas, it felt more like a cold shower. With tax and shipping, the final bill for Europe comes out to more than 700€. Time to turn to the competition? Let’s face it, when it comes down to tech specs, only the Vive headset, developed by Valve (owner of the Steam video game platform) and HTC, can truly compete. It launch price should be announced in February, but it’s a fair bet to say that Valve won’t sell itself short. In other words, the only alternative for cheap VR is OSVR, which has just launched version 3.0 of its Hacker Dev Kit for $300. In terms of performance, the headset is closer to the DK2 with its single screen… but as the latter is no longer available, we gladly turn to OSVR. Another advantage of OSVR is that its components can be updated or changed independently, some even 3D printed. And thanks to multiple partnerships, it is compatible with most accessories on the market (joysticks, treadmill, etc. ), as well as development tools such as Unity3D. On the other hand, content for OSVR is still very limited. We would have liked to believe that the software publishers had a better reason to become partners than mere brand image. And don’t expect to import titiles from the competition—a game developed in OSVR may be compatible with the DK2 or the SteamVR platform, but this compatibility isn’t mutual. Salvation may come in the form of content developed for both Vive and Oculus, following a standard close to that of OSVR.